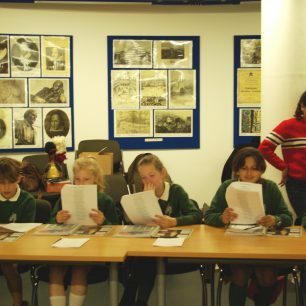 Can you interview a ghost? 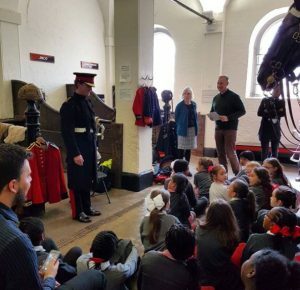 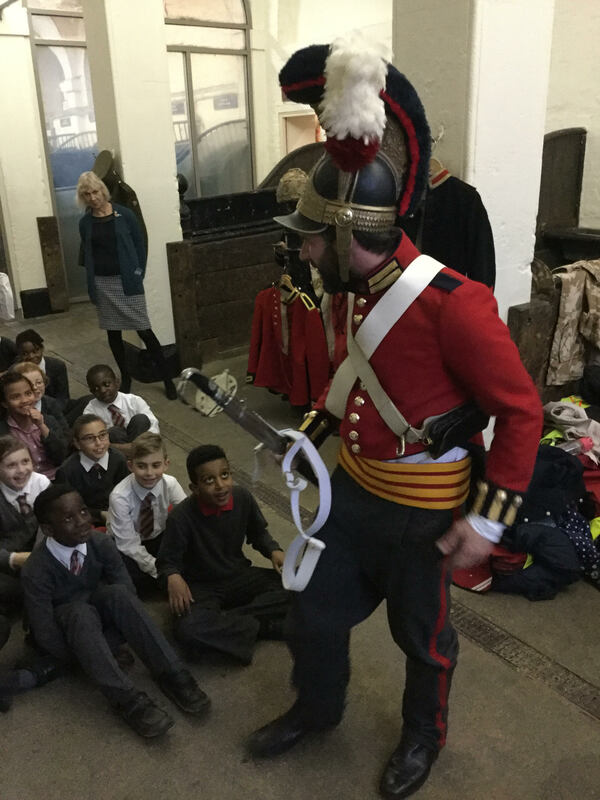 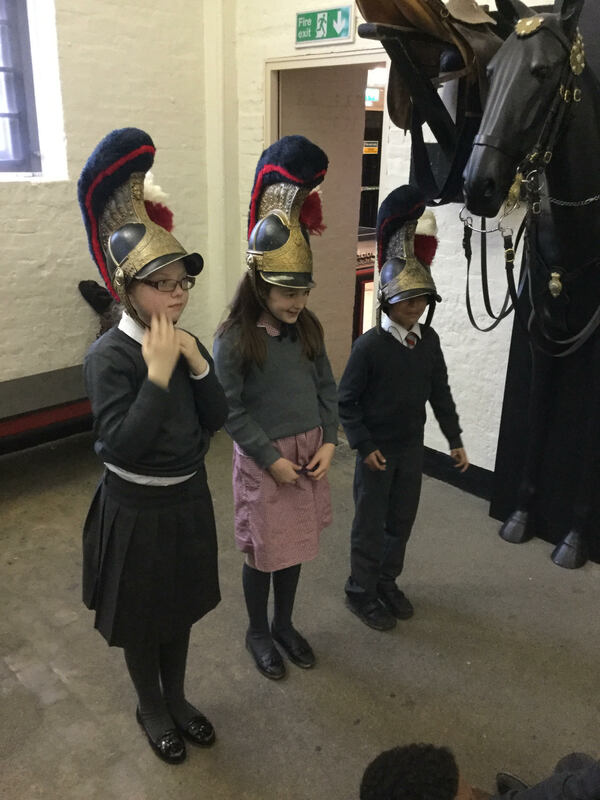 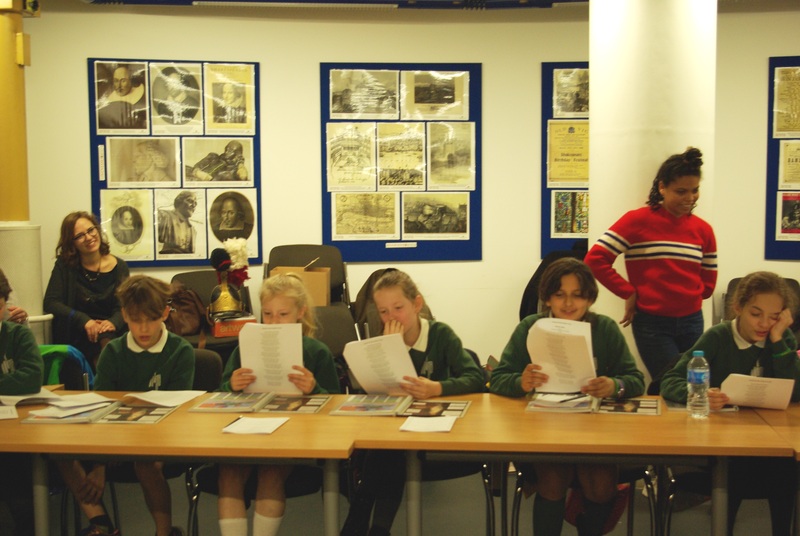 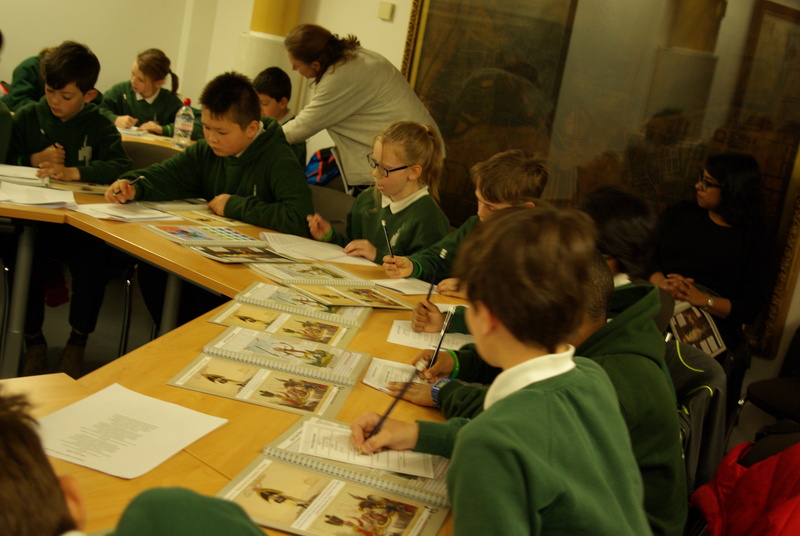 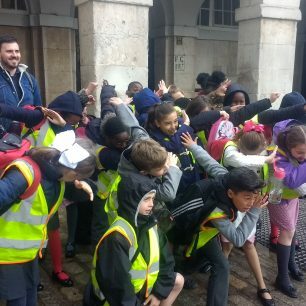 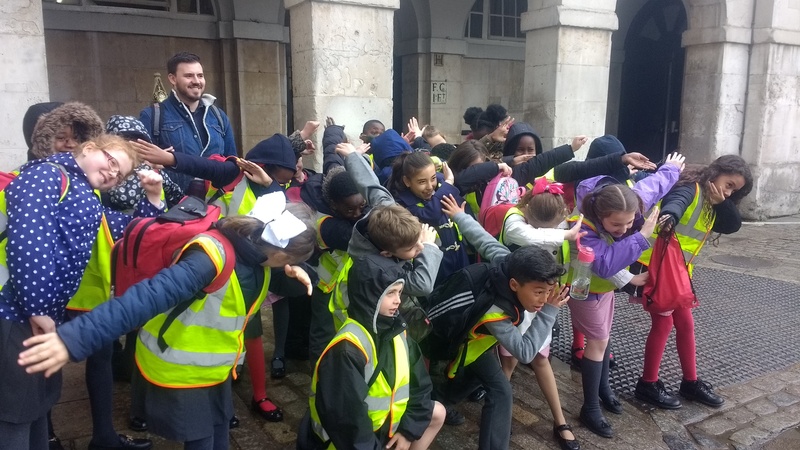 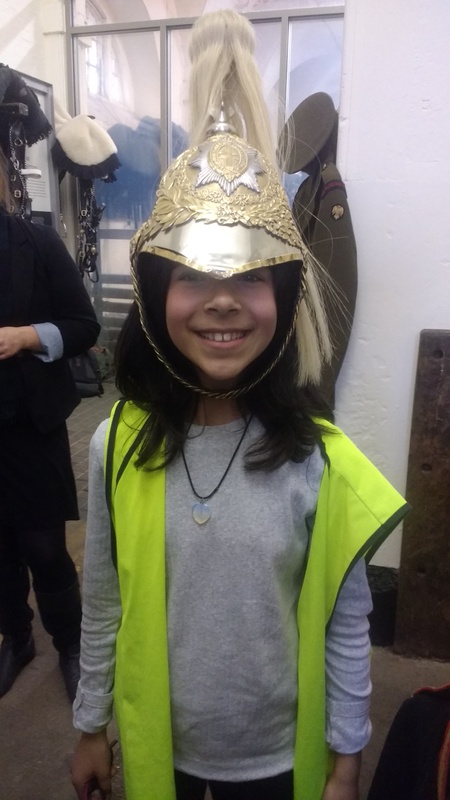 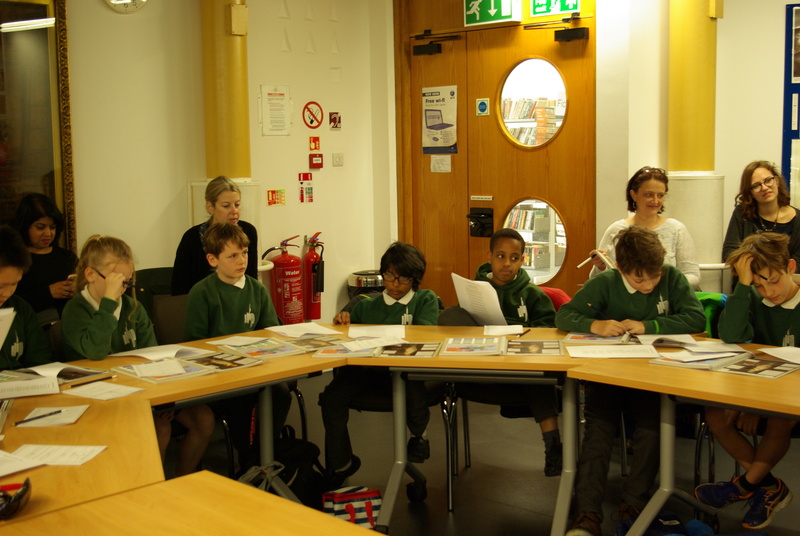 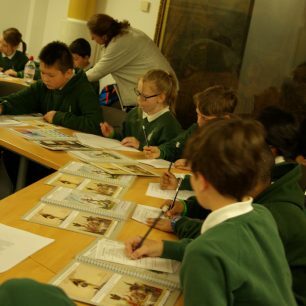 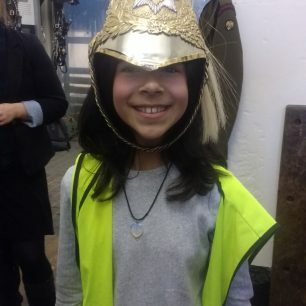 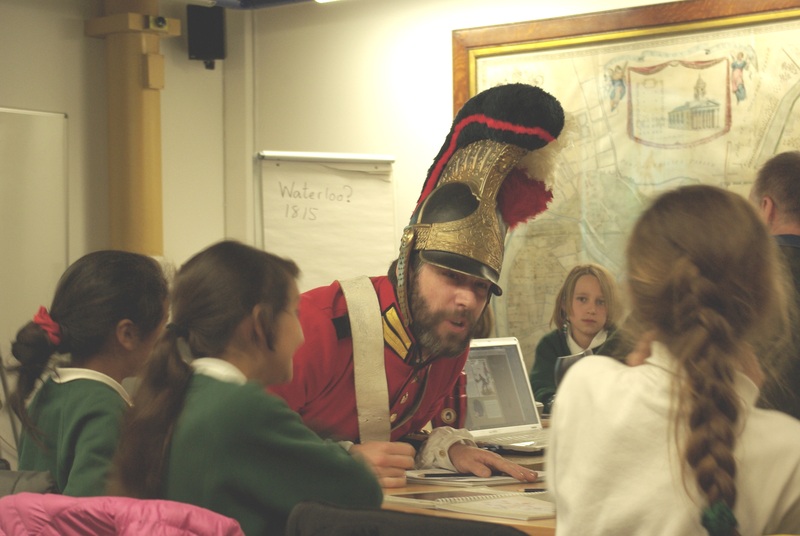 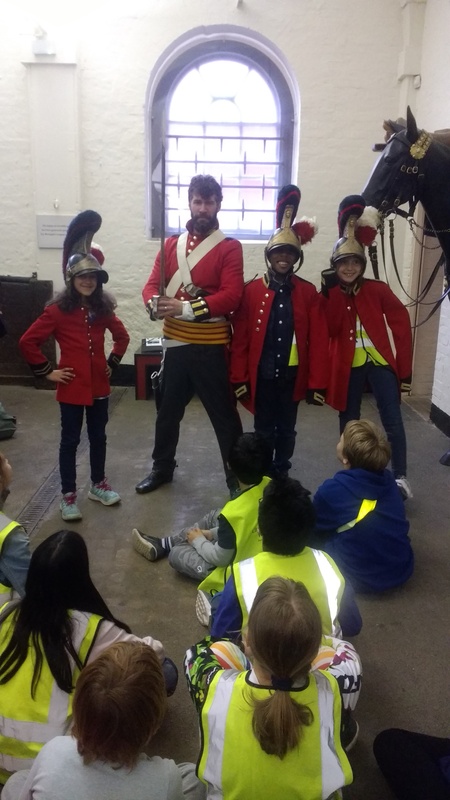 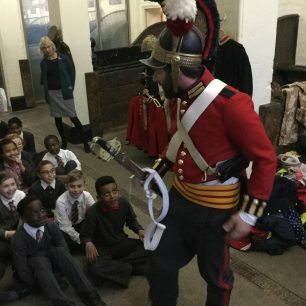 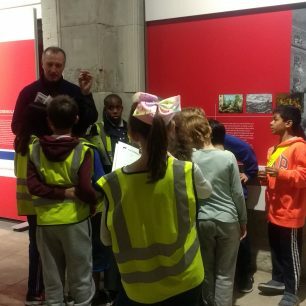 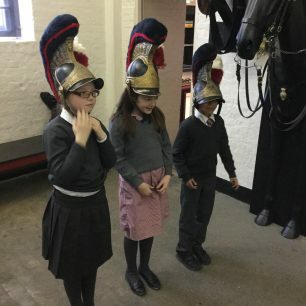 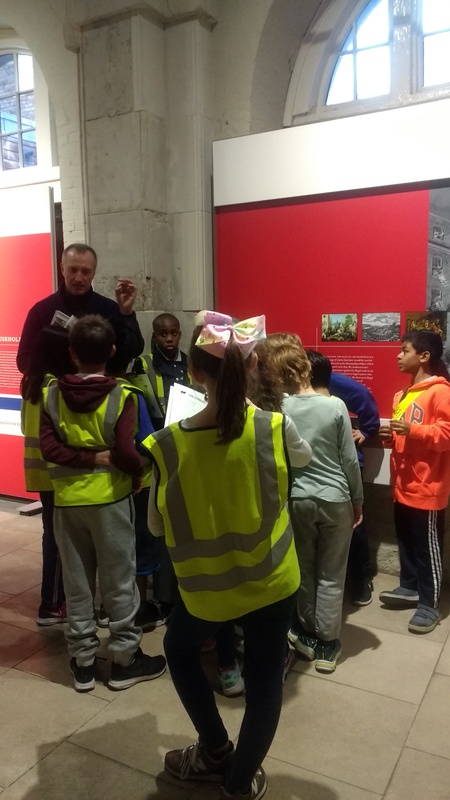 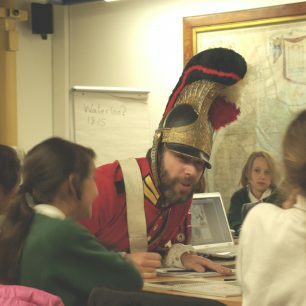 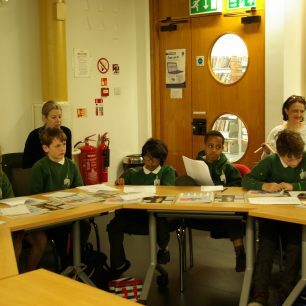 Year 5 classes from Barrow Hill Junior School, Westminster Cathedral Roman Catholic Primary School, and Saint Saviour’s Church of England Primary School visited the Westminster Archives Centre and the Household Cavalry Museum in April and May for their first introduction to Samuel Godley’s story. 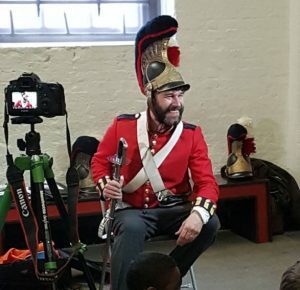 A rendition of ABBA’s Waterloo started a very eventful day that included more historically relevant songs, a visit from Samuel Godley’s ghost, a fantastic retelling of the feats of the Earl of Uxbridge, John Shaw and the Godley himself, a tour of the museum and question-time in the Stables with Captain Fitzgerald and Captain Vaughan, serving officers, before watching the changing of the guard. 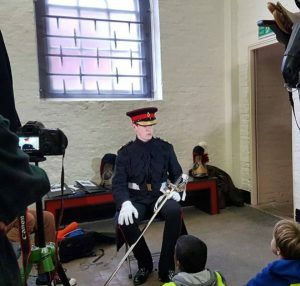 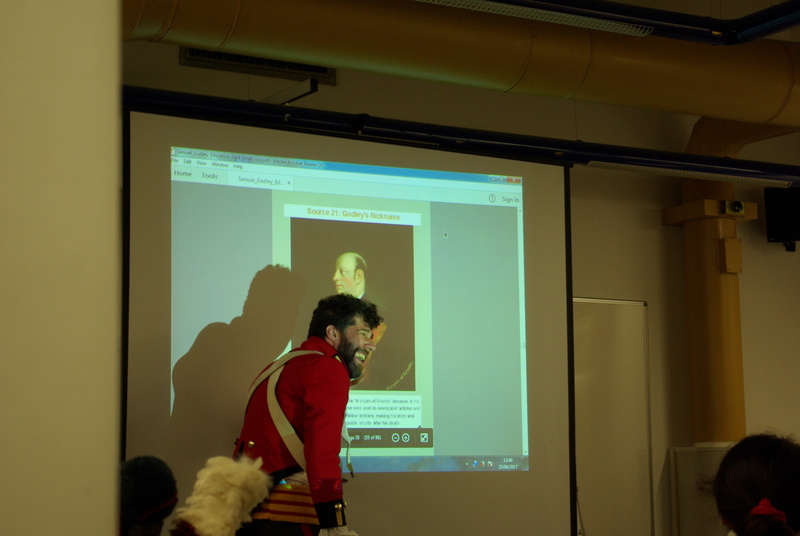 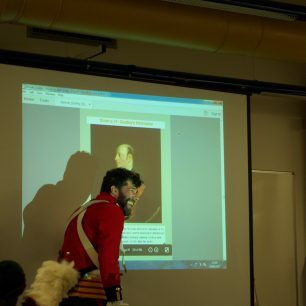 The event was filmed by Digital Works and then troupe of budding film-makers, who also interviewed the rather boisterous apparition Samuel Godley, the Education Officer of the HCM Nicola Ayrton, and Captain Vaughan. 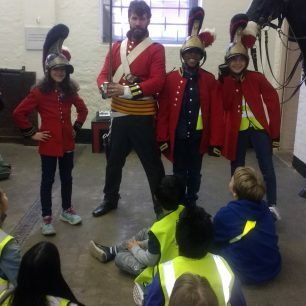 This page was added on 30/05/2017.